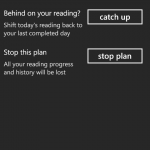 Windows Phone 7 v. 1.3: Now with Reading Plans! 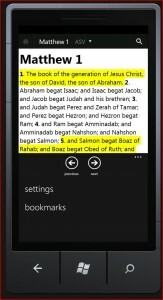 A new release, v. 1.3, is now available for the Bible App™ by YouVersion on Windows Phone 7! 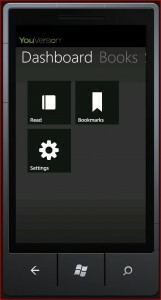 You can update yours at Marketplace for Mobile right now. 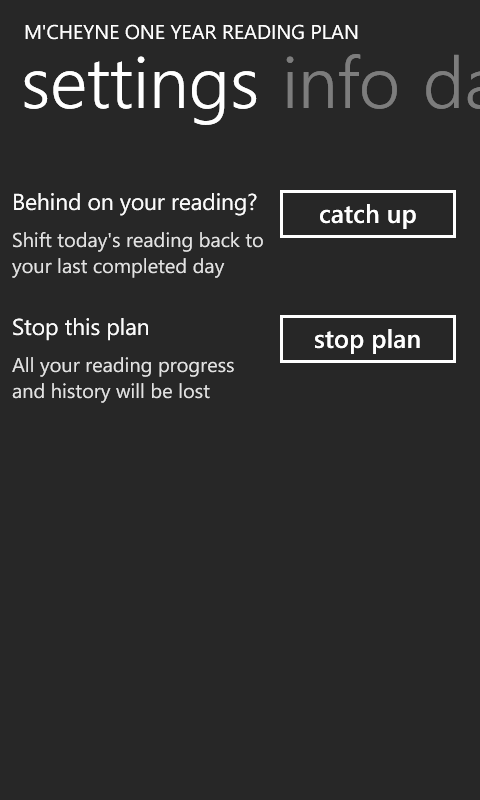 While this release contains the typical “bug fixes and performance enhancements,” the feature we’ve actually worked the hardest to bring you is Reading Plans. When you select a Reading Plan (from a list of more than 50), YouVersion gives you a simple schedule with a little to read each day. 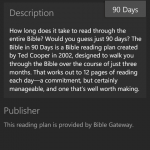 A Reading Plan is an easy, focused way to read through whatever you’re interested in in the Bible. And if you happen to miss a day here and there (everybody does sometimes), just tap the “catch up” button, and the Bible App will reset your reading schedule accordingly. 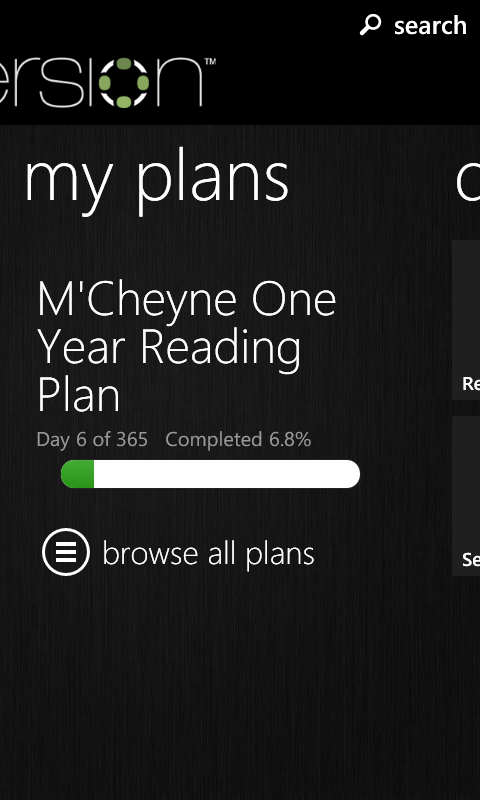 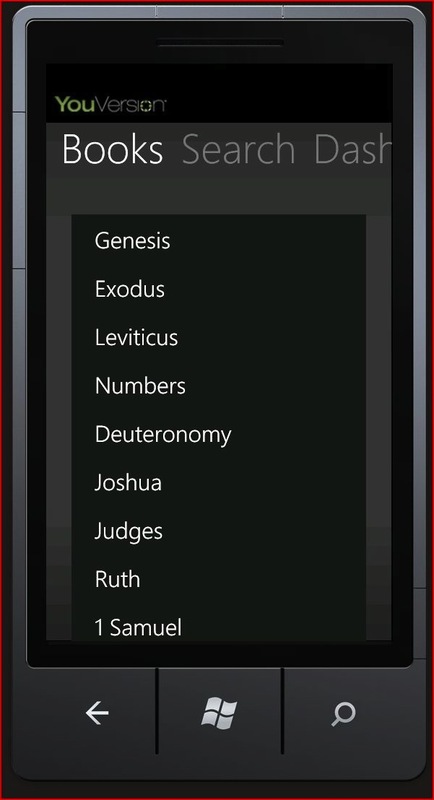 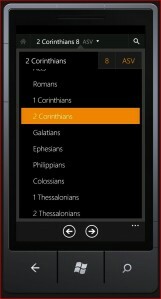 Once you have the Bible App installed on your Windows phone, just go to Reading Plans and browse for the one you want. 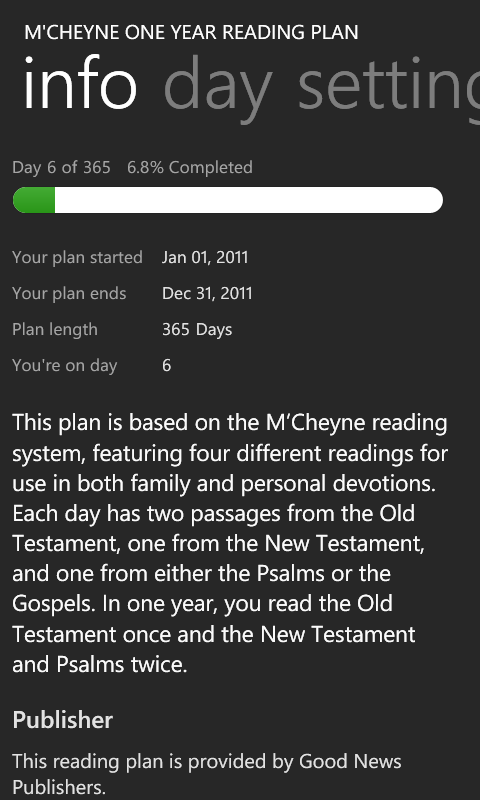 You can sign up at YouVersion.com for progress update emails for yourself or an accountability partner. 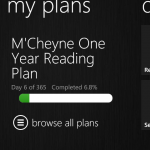 It’s never to late to get started! 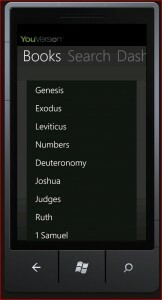 Just think about it: This could be the year you really connect with the Bible. 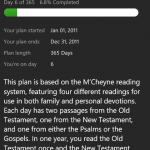 You can try a plan that takes you through the Bible in a year, or just select parts, even specific topics and daily devotionals. 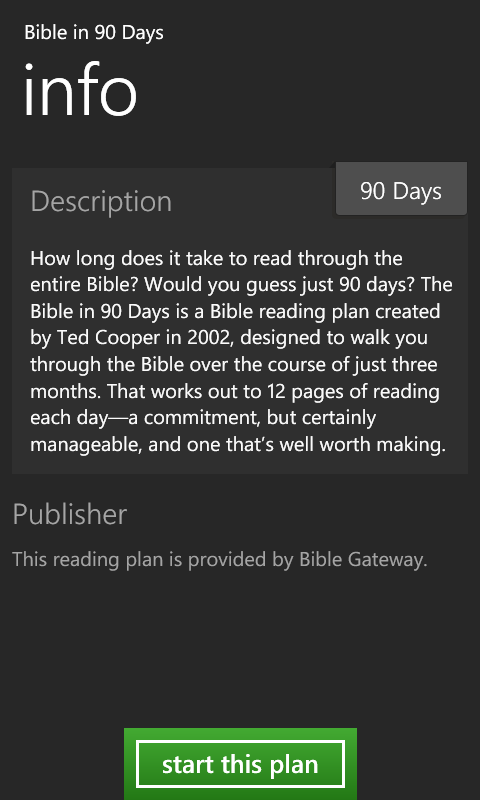 If you’re looking for a challenge, we even have one plan that will help you read the entire Bible in just 90 days! 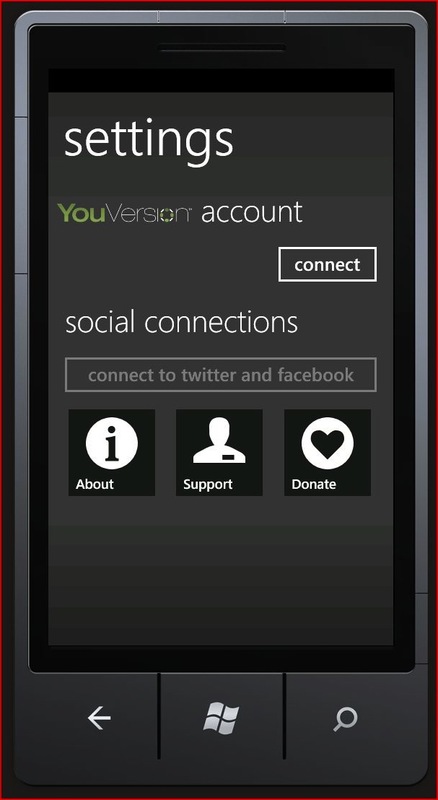 Be sure to connect your account with your social networks and share your thoughts about what you’re reading with your friends on Facebook and Twitter. 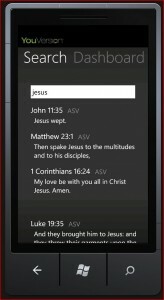 Windows Phone 7: The Bible App is Coming! 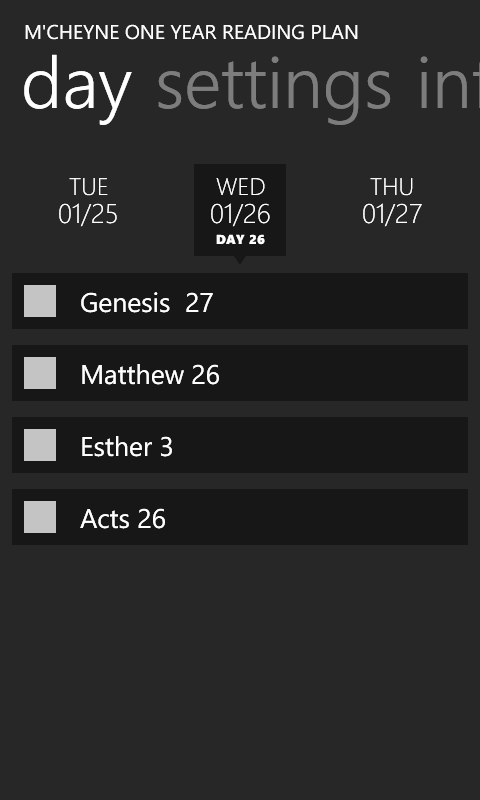 One mission drives us here at YouVersion: Helping people worldwide engage with God’s Word. 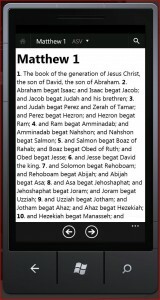 We do that by making the Bible available digitally in as many versions and on as many devices as we can. 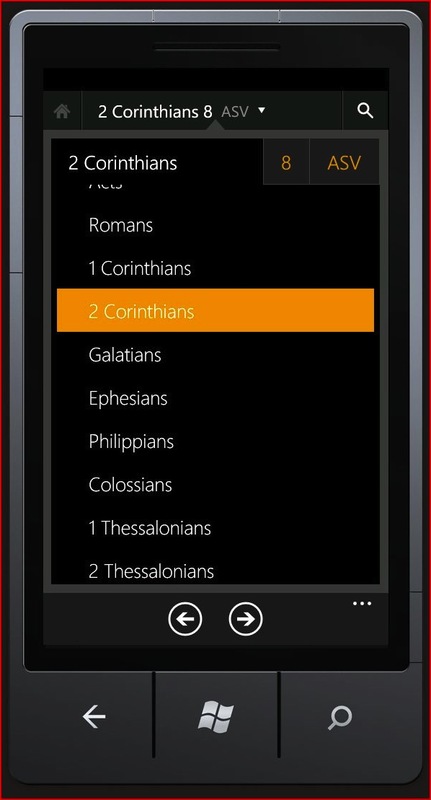 So when the online store for Microsoft’s smartphone platform, Windows Phone 7, launches in the U.S. on November 8, 2010, our Bible app will be there. 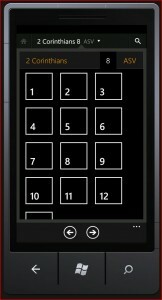 Industry analysts predict Microsoft may spend up to half a billion dollars to promote Windows Phone 7, so you’ll likely start hearing a lot about it soon. 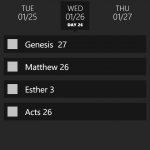 To us, all that advertising and press represents a tremendous opportunity to connect even more people with the Scriptures. 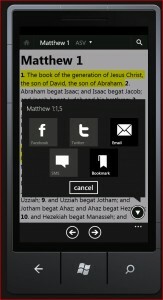 While the special features for our initial release of the Bible app on Windows Phone 7 will focus on social networking and connections, we’re still actively developing it, so we’ll continue rolling out more and more of the functions that YouVersion users on other platforms have come to count on. 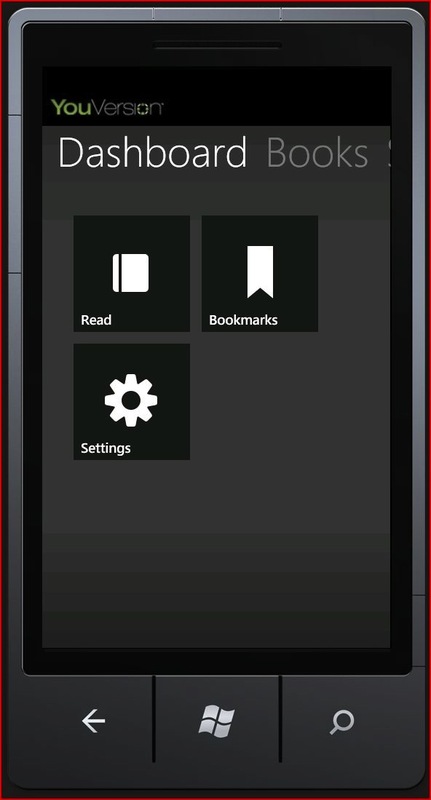 We’ll keep you posted about new Windows app features as soon as we release them—stay tuned here and on Twitter! 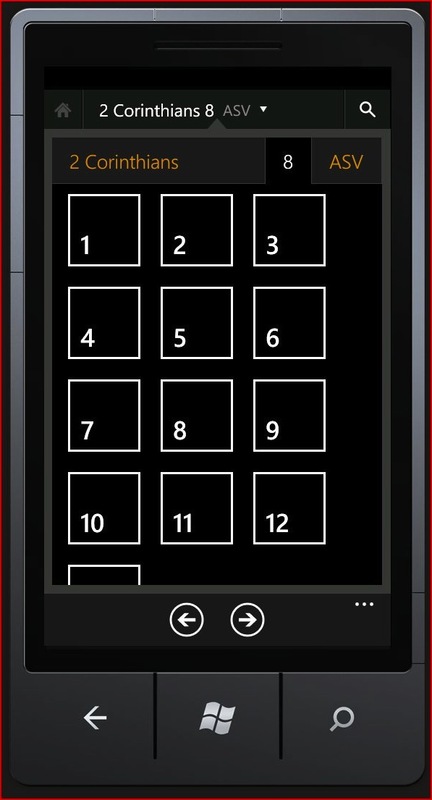 For those of you who choose Windows Phone 7 as your phone, we want you to know… We’ll be there.